Since 2001, the year we started the business, we have been known for providing quality products, innovative solutions, and personalized services. 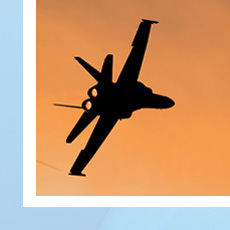 Our insight of aerospace & military programs is unparalleled. As a result, T&S Trade Tech has quickly become one of the top destinations for parts & supplies for the industry. At T&S, we supply parts and systems for many type of ships, Submarines, hovercraft, patrol boats, armaments, radar, sonar, mechanical handling equipment, electronic and communications systems, engine room components, engines, engine parts, propellers, and many other spare parts & raw materials. radars, electrical and electronic equipment, components, fuel systems and components, Instruments for military/commercial aircraft worldwide. We supply parts, components and systems for many type of army and ground forces equipment, including tanks, armored personnel carriers, trucks, utility vehicles, engineering equipment, countermine equipment, radars, electronics, communications equipment, and other related materials.